Will Death Crosses and World Markets Rain on China's Parade This Week? 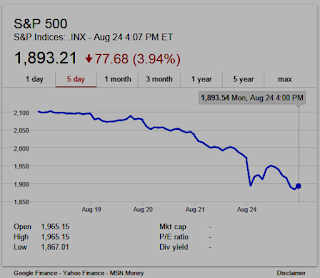 UPDATE Sept 3, 2015: Inside the Politics of Chinese Market Intervention: Government of China is intervening in China's stock markets by buying stocks on the Chinese Markets and in other ways-- Atlantic Council Senior Fellow Jamie Metzl weighs in on the China slowdown. He speaks on "Bloomberg Markets," September 2, 2015. 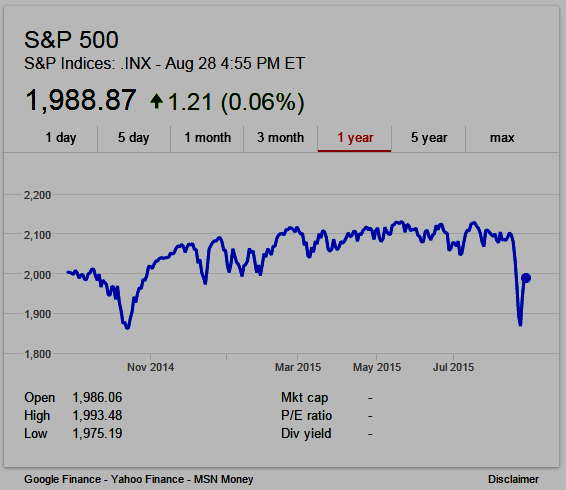 UPDATE August 31, 2015: S&P 500 ends August with worst month on record since 2012. Capital controls coming to China (see below). SocGen: Half-Hearted Capital Controls Are Coming to China - Bloomberg Business: "To reduce the extent to which the People's Bank of China needs to offset outflows with foreign exchange intervention, the economist sees a high probability that capital controls will soon be instituted... This solution, the economist admits, is only a temporary one, as the People's Bank of China doesn't have an unlimited amount of foreign assets to sell to defend the currency. And while a free-floating currency would cause too much short-term stress, this Band-Aid approach won't stop the bleeding. "Not letting the currency go requires significant FX intervention that will not prevent ongoing capital outflows but which will result in tightening domestic liquidity conditions; but letting the currency go risks more immense capital outflow pressures in the immediate short term, external debt defaults and possibly further domestic investment deceleration," says Yao." 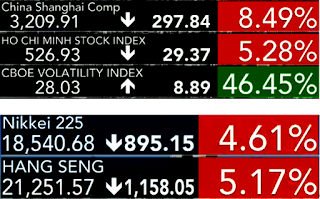 UPDATE: If the Options Market Is Right, China's Stock Rescue Is Doomed - 30 Aug 2015 - Bloomberg Business: "... While policy makers are trying to bolster the market before President Xi Jinping takes the stage in a World War II victory parade this week, bears argue that valuations are too high for the rally to last. Chinese investors have about 5 trillion yuan ($783 billion) of borrowed money riding on stocks, and many of them are looking for a chance to exit, according to Bank of America Corp..."
Is China in the Midst of a Hard Landing? Gordon Chang, author of "The Coming Collapse of China," discusses the outlook for China's economy with Bloomberg's Joe Weisenthal and Alix Steel on "What'd You Miss?" on August 28, 2015. Jeffrey Gundlach says US equity markets face another major leg down: "The U.S. stock market is in a mode of uncertainty, at best. You don't correct all of this in three days." --DoubleLine Capital's co-founder Jeffrey Gundlach, in a telephone interview with Reuters, last Monday. The Week Ahead: Death Cross patterns; will global markets rain on China's parade? ‘Death cross’ patterns spread like a bearish virus - MarketWatch: "Many chart watchers believe a death cross indicates that a shorter-term decline has developed into a longer-term downtrend. There were 263 stocks within the S&P 500, or about 53%, that had a 50-day moving average (MA) below their 200-day MAs through afternoon trade Friday [Aug 28, 2015]. Shares of the biggest S&P 500 company by market capitalization, Apple Inc. AAPL, +0.33% produced a death cross on Aug. 26 ... the Dow Jones Industrial Average produced a death cross on Aug. 11. 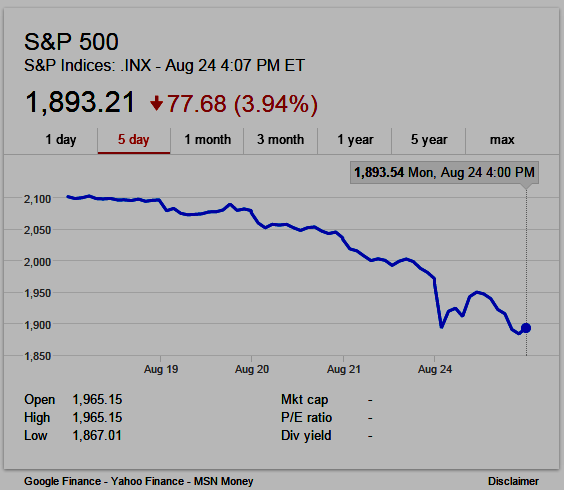 The blue-chip index was down 47 points in recent trade, and had lost nearly 800 points since the pattern appeared. On Friday, 18 Dow stocks, or 60%, had death crosses hanging over them. Many have questioned whether a well-telegraphed moving average crossover is really a bearish signal or not. But at the end of 2008, three months before the market bottomed, all 30 Dow stocks had produced death crosses." But markets recovered last week due to intervention by the government of China buying stocks on the Chinese markets (and selling U.S. Treasuries), thereby stopping the downward spiral of Chinese, and global, stock markets. And the reason China's government intervened? China's "authorities want to stabilize equities before a Sept. 3 military parade celebrating the 70th anniversary of the World War II victory over Japan, said two of the people, who asked not to be identified because the move wasn’t publicly announced" according to Bloomberg. Despite interventions and preparations, world markets could rain on China's parade this week, on the other hand, maybe the sun will shine. The CCWG-Accountability (Cross-Community Working Group on Enhancing ICANN Accountability) has published its 2nd draft for 40-day public comment--see Cross Community Working Group on Enhancing ICANN Accountability 2nd Draft Report (Work Stream 1) - ICANN. Community feedback is requested on this 2nd draft proposal of proposed enhancements to ICANN's accountability framework that the CCWG-Accountability has identified as essential to happen or be committed to before the IANA Stewardship Transition takes place (Work Stream 1). Comments are due by the deadline of 12 September 2015 at 23:59 UTC. "... consistent with the CCWG request, the Board will have an open teleconference with the CCWG to help inform the Board's development of its comments to be submitted into the Public Comment forum before the close of the comment period on 12 September. Call details will be announced so that anyone in the community may participate..."
Payanywhere.com "Accept Apple Pay and magnetic stripe transactions on your phone and tablet. Purchase now in Apple Stores for only $39.95 and get your first $5000 in transactions free!... PayAnywhere Mobile allows you to accept Visa, MasterCard, American Express, Discover and PayPal cards all at the same low rate, wherever and whenever you're doing business. The free credit card reader transforms your Apple or Android smartphone or tablet into a mobile credit card reader. Offering ease of use, the most robust mobile payments processing app, and live customer support, PayAnywhere will take your business where it needs to go." Reserve Bank of India Governor Raghuram Rajan has called on the Government of India to get cracking on reforms. In an exclusive conversation with Bloomberg TV India's Siddharth Zarabi, Rajan stressed on the need for sustained reform momentum to ensure India stands out in a volatile global environment. Above is the exclusive interview. Published on Aug 5, 2015. 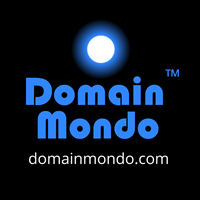 Are ccTLDs, Country Code Top-level Domains, Subject to Attachment? Whether country-code top level domain names and IP addresses assigned to the judgment debtors are property or might be property subject to attachment under District of Columbia law, including D.C. CODE § 16-544? 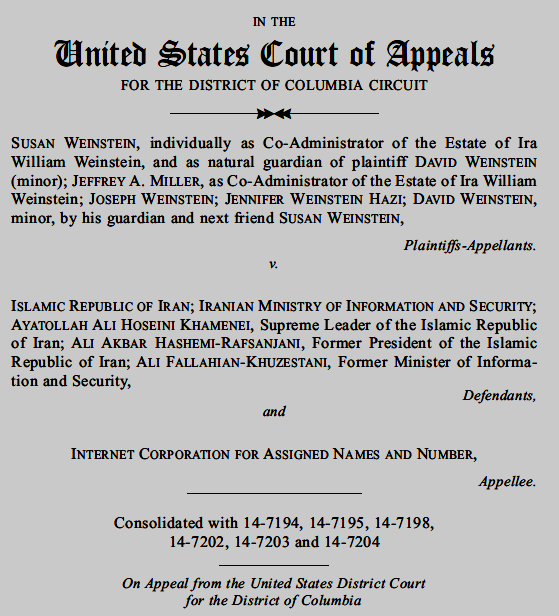 Whether the district court abused its discretion in failing to allow discovery so that it could better determine whether country-code top level domain names and IP addresses assigned to the judgment debtors are property or might be property subject to attachment under District of Columbia law, including D.C. CODE § 16-544? 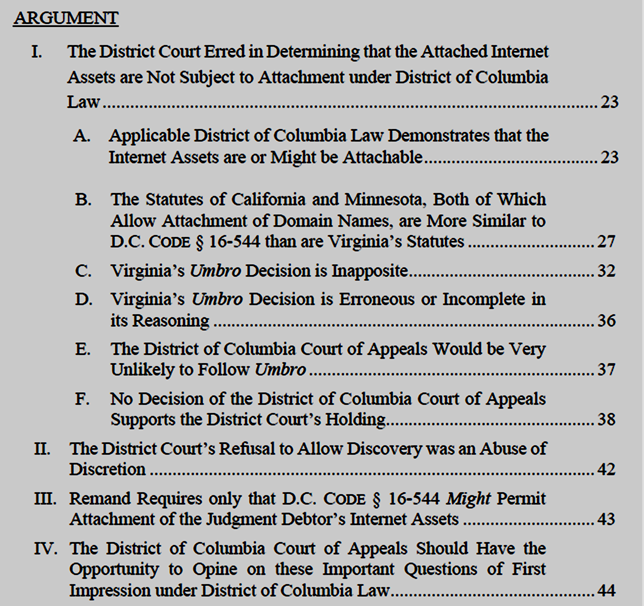 Whether this Court should certify the fundamental questions in this appeal, which are important questions of first impression turning solely on the proper interpretation of District of Columbia statute, to the District of Columbia Court of Appeals for its resolution? The outcome of this appeal could have ramifications upon the IANA stewardship transition and ICANN's U.S. jurisdiction. Oral arguments have not yet been scheduled. More information: Litigation Documents arranged by initial filing date in descending order. Bloomberg TV India special series: Transforming India With Arvind Panagariya -- Arvind Panagariya is the Vice Chairman of Niti Aayog of India. He is an Indian-American economist and Professor of Economics at Columbia University and an ex-Chief Economist at the Asian Development Bank. Vivek Law asks him about Prime Minister of India's much talked about Gujarat Model and his mantra of devolving power to the states. Panagariya says, "The key to Gujarat's success is good governance." This video is originally sourced from Bloomberg TV India, and was originally published on July 17, 2014. .COM Domain Names - Verisign: "As the foremost established [TLD or top-level] domain, with a record of more than 15 years of reliability, .COM domain names invoke trust. It’s where customers want to do business online." Video above: Shenzhen Firm Calls Itself 'Goldman Sachs' -- China may have a reputation for knock-offs, everything from bags and watches to smartphones, but what about cloning a famous global lender? Bloomberg's Shai Oster reports on "Trending Business" on August 27, 2015. This is why ICANN's new gTLDs (new generic top-level domain names) are a cybersquatter's and cybercriminal's dream come true--and who is profiting besides the cybersquatter or cybercriminal?--ICANN, the new gTLD registry operators, and the new gTLD registrars! Talk about e-friction--read this piece of ICANN hypocrisy--ICANN and its new gTLDs are a source of tremendous global e-friction or "impediments, costs and losses incurred by internet users and businesses" due to ICANN's expansion of gTLDs from just 22 to now more more than 700, including increased costs and losses incurred in "defensive domain name registrations" and trademark infringement. Heard of China’s Fake Rolexes? Now There’s a Fake Goldman Sachs - Bloomberg Business: "The Shenzhen Goldman Sachs’s website was inaccessible as of Wednesday, though it could be viewed in screen grabs captured by the union.“There have been quite a few cases where Chinese individuals or organizations have registered in China the trademark of an existing and established overseas brand,” Paul Haswell, a Hong Kong-based partner at law firm Pinsent Masons, said in an e-mail.“It’s notoriously difficult for an overseas claimant to persuade the Chinese courts that there has been trademark infringement,” said Haswell. “There’s still a practice of whoever registers first wins.”"
UPDATE: FairSearch statement regarding Google's response to the Statement of Objections - FAIR SEARCH: Brussels, 27 August 2015 – "We have seen this movie before. Defendants in big European antitrust cases have made the same arguments. Just like Google here, they have argued that the EC is incorrectly defining the market in which harm is occurring. They also argued, just like Google now, that even if one accepts the EC’s market definition, there was no harm to competition in that market. And they argued, again like Google today, that the antitrust authorities just don’t get it, and that the remedy they demand cannot be implemented without causing technical and market chaos. The truth, as in previous cases, is that the Commission has properly defined the market into which Google has leveraged its overwhelming dominance in search, namely the shopping (price) comparison market. Google has decimated competition in that market by preferencing its own product comparison service in its search results, and consumers have been harmed — and paid higher prices – because Google has cornered the shopping comparison market. And the truth is that the Commission understands the markets and the technology very well, and Google is perfectly capable of implementing a remedy that provides equal treatment both to its own product comparison service and to those of others. The Commission is completely correct that this is the only remedy that is principles-based and future-proof. Please see our chronology for details of the case." Google and Shopping video (above) published August 27, 2015 - "Since Google was founded, we have worked to make it easier for people to find what they are looking for. We have a simple belief: focus on the user, and all else will follow. This is at the heart of how we show products in Search, in which we show users the most relevant results by working directly with merchants to present accurate specs, trustworthy reviews, competitive prices and the quickest means of purchase. While technology and behaviors may evolve and change, our focus on the user will always remain the same." European Commission - Antitrust: Commission sends Statement of Objections to Google on comparison shopping service; opens separate formal investigation on Android: "Brussels, 15 April 2015: The European Commission has sent a Statement of Objections to Google alleging the company has abused its dominant position in the markets for general internet search services in the European Economic Area (EEA) by systematically favouring its own comparison shopping product in its general search results pages. The Commission's preliminary view is that such conduct infringes EU antitrust rules because it stifles competition and harms consumers. Sending a Statement of Objections does not prejudge the outcome of the investigation. The Commission has also formally opened a separate antitrust investigation into Google's conduct as regards the mobile operating system Android. The investigation will focus on whether Google has entered into anti-competitive agreements or abused a possible dominant position in the field of operating systems, applications and services for smart mobile devices. EU Commissioner in charge of competition policy Margrethe Vestager said: "The Commission's objective is to apply EU antitrust rules to ensure that companies operating in Europe, wherever they may be based, do not artificially deny European consumers as wide a choice as possible or stifle innovation". "In the case of Google I am concerned that the company has given an unfair advantage to its own comparison shopping service, in breach of EU antitrust rules. Google now has the opportunity to convince the Commission to the contrary. However, if the investigation confirmed our concerns, Google would have to face the legal consequences and change the way it does business in Europe." "I have also launched a formal antitrust investigation of Google’s conduct concerning mobile operating systems, apps and services. Smartphones, tablets and similar devices play an increasing role in many people's daily lives and I want to make sure the markets in this area can flourish without anticompetitive constraints imposed by any company."" Competition - European Commission: "39740 Google Search"
Competition - European Commission: "40099 Google Android"
See also on Domain Mondo: Google Alphabet A Signal To Sell OR Short $GOOG and $GOOGL shares? 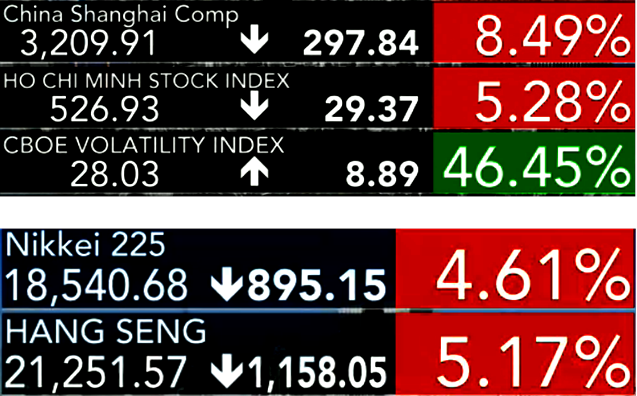 Video above--Europe Stocks Rebound as Chinese Selloff Halts--August 27, 2015: European stocks joined a global relief rally as Chinese shares snapped a five-day losing streak. Shares rose in Europe and Asia after the biggest advance in U.S. stocks in four years on Wednesday helped restore some appetite for riskier assets. Developing-nation currencies rebounded from a record low and a surge in the last hour of trading in Shanghai sent Chinese stocks to their biggest gains in seven weeks. The REAL Liquidity Trap: Global Markets are now addicted to Central Banks and Governments intervening and manipulating everything from interest rates to currencies to equities (stocks). Seeking Alpha: "Shares across the globe are skyrocketing after Wall Street cracked a six-day losing streak with its best rally in nearly four years. With momentum turning to the upside, investors seem to be covering their positions, while long-term bulls snap up perceived bargains. The rebound is also being attributed to falling expectations the Fed will soon raise interest rates. On Wednesday, NY Fed President William Dudley said a September hike seemed "less compelling" given recent global economic uncertainty." China Intervened Today to Shore Up Stocks Ahead of Military Parade - Bloomberg: "China’s government resumed its intervention in the stock market on Thursday and has been cutting holdings of U.S. Treasuries this month to support the yuan, according to people familiar with the matter. Authorities want to stabilize equities before a Sept. 3 military parade celebrating the 70th anniversary of the World War II victory over Japan, said two of the people, who asked not to be identified because the move wasn’t publicly announced. Treasury sales allow policy makers to raise dollars needed to bolster the yuan after a shock devaluation two weeks ago, according to different people familiar with the matter. China revived its equity purchases after the government’s absence from the market earlier this week contributed to the biggest two-day selloff since 1996. Under a new exchange-rate regime announced Aug. 11, the central bank relies on intervention to manage the yuan instead of its daily fixing. China’s surprise policy shifts have jolted markets worldwide as investors struggle to gauge their impact on the world’s second-largest economy." China’s Stocks Surge in Late Trading to Halt Five-Day Plunge - Bloomberg: "Stocks failed to sustain gains on Wednesday after the central bank cut interest rates and reduced the amount of required reserves for banks. The index tumbled 42 percent from its mid-June peak through Wednesday to erase more than $5 trillion of value as margin traders closed out bullish bets and concern deepened that valuations are unjustified by the weak economic outlook. Stocks on mainland bourses trade at a median 49 times reported earnings, according to data compiled by Bloomberg. That’s the most among the 10 largest markets and more than three times the 18 multiple for the Standard & Poor’s 500 Index." Forget the headlines--nothing has changed from a few days ago--governments and central banks are intervening and actively manipulating global markets, even in secret, unannounced ways (see China stories above). This never ends well. But when will it end? Probably when a sufficient number of market investors lose confidence in central banks' and governments' ability or willingness to continue to manipulate. Right now, enough "market investors" are still willing to be "market speculators" -- in effect placing casino-like bets on future "Fed policy" and "Chinese government manipulation." How high will valuations go in this giant global Ponzi-like scheme? The "smart money" in China has already abandoned Chinese stock markets. Wealthy Chinese are moving money out of China. But the Chinese masses, and the rest of the world, are still "playing along" for now. When will expectations and speculations meet reality? "The Board is deeply engaged in reviewing the CCWG-Accountability proposal and has actively participated in the process. Consistent with our commitment to transparency, we would like to share with the Community the steps in our review process. "Last week, the ICANN Board submitted a preliminary set of comments to the CCWG-Accountability Public Comment forum. The Board remains committed to engaging and working with the CCWG on solutions to address concerns raised in its preliminary set of comments. "A subset of ICANN Board Members and Staff Members have been meeting in Washington, DC on Tuesday and Wednesday this week to further consider the CCWG proposal and commence a review of an impact analysis from ICANN's external counsel. As part of this meeting, the group held a call together with the CCWG Chairs. For full transparency and to clarify the basis for the review points and comments, ICANN will share the impact analysis and publish it in the CCWG Public Comment forum. The Board welcomes feedback from the CCWG on the impact analysis as it finalizes its responses to the CCWG proposal in the Public Comment forum. "Next week, consistent with the CCWG request, the Board will have an open teleconference with the CCWG to help inform the Board's development of its comments to be submitted into the Public Comment forum before the close of the comment period on 12 September. Call details will be announced so that anyone in the community may participate. "Finally, in light of the importance of these discussions, we propose that the CCWG-Accountability hold a public meeting in Los Angeles in late September to continue the dialogue with the Board on the CCWG proposal. Meet YouTube Gaming, Twitch’s Archenemy | TechCrunch: "YouTube just launched YouTube Gaming on the web, Android and iOS. As expected, YouTube Gaming goes head-to-head against Twitch, mirroring many popular features of the existing gaming streaming giant ...YouTube has definitely put a lot of resources into this launch with a service already available on the three main platforms. We will see whether old habits die hard, but YouTube Gaming looks like a heavyweight and Twitch’s most serious competitor to date." Unicorns, China, and the Fed--Where do we go from here? Unicorns: Marc Benioff says "We may see a lot of dead unicorns." --Unicorns May Struggle in Tougher Market--Salesforce.com CEO Marc Benioff discusses the selloff in the stock market and his concerns about technology and Web-based companies that have raised money at valuations exceeding $1 billion, called unicorns. He speaks with Bloomberg's Emily Chang, August 24, 2015, in the video above. China: The Shanghai Composite Index has lost 22 percent in four days--steepest retreat since 1996--to 2,964.967 on Tuesday. DeMark Says Chinese Stocks Are at Make-or-Break Inflection Point - Bloomberg Business: "Tom DeMark, who predicted this month’s selloff in Chinese stocks, said the Shanghai Composite Index may extend its decline by 13 percent should it stay below a critical technical level on Wednesday. A failure to close above 3,200, or almost 8 percent higher than the Tuesday’s level, may open the way for a move to 2,590, which would be the lowest since November, according to DeMark, founder of DeMark Analytics. An advance above that level, however, would signal the stock rout which has wiped out more than $4 trillion in market value, may be over, he said. “We are teetering on the edge,” DeMark, 68, who has spent more than 40 years developing indicators to identify market turning points, said by phone from Scottsdale, Arizona." The Fed: China may be the "bunker buster" to the US Federal Reserve's plans to raise interest rates in September. Citi: The Fed Will Still Hike in September, But There's One Big Wild Card Ahead - Bloomberg Business: "Fed Vice Chair Stanley Fischer's appearance at the forthcoming Jackson Hole economic policy symposium [Aug. 27-29, 2015] is the 'key wild card' ... If he shows signs of worrying that the transitory downward pressures (commodity and energy prices and the appreciating dollar) ... THAT would be a big event ... [suggesting] reduced confidence in reaching the Fed inflation target in the medium term." The webinar will be conducted in English. Recordings will be published in the knowledge center of WHOIS website at: http://whois.icann.org/en/knowledge-center. UPDATE August 25, 2015: Rally in US stocks failed in final hours today--Relief Rally Evaporates in U.S. Stocks as China Anxiety Bubbles - Bloomberg Business: "A rebound that took the Dow Jones Industrial Average up more than 440 points disappeared as traders said trepidation over what will happen in China’s market made holding on to stocks too risky for most investors. The 30-stock index slid 1.3 percent to 15,665.77 at 4 p.m. in New York, down 4 percent from its highest point. The peak-to-trough retreat matched Monday’s selloff, when concern about global growth ignited the worst selloff in four years. The Standard & Poor’s 500 Index went from up 2.9 percent to down 1.4 percent, with most of the selling concentrated in the final two hours of trading." Chinese stocks crashed again today, 25 Aug 2015,--biggest plunge since 1996--and China's government, desperate for answers after devaluing its Yuan currency and imposing controls on China's stock markets, lowered interest rates and reduced cash requirements for its banks. How bad is the situation, really, in China? How desperate are Chinese leaders? Answers below. China to Flood Economy With Cash as Global Markets Lose Faith - WSJ: "...“Views about China’s economic prospects appear to be shifting from serious concern to near panic,” said Eswar Prasad, a Cornell University professor and former China head for the International Monetary Fund ... some big-name Chinese technology companies are reporting softening markets. Electronics maker Lenovo Group Ltd. [domain name: lenovo.com] called the past quarter “perhaps the toughest market environment in recent years.” Phone maker Xiaomi Corp. [domain name: mi.com], which had ridden the wave of first-time smartphone buying in China to rack up triple-digit growth in recent years, now has to look for such growth elsewhere. For the first time in six years, China’s smartphone sales are declining." Chinese Stocks Crash Again to Extend Biggest Plunge Since 1996 - Bloomberg Business: "The Shanghai Composite Index tumbled 7.6 percent [Tuesday, August 25, 2015] to 2,964.97 at the close, sinking below the 3,000 level for the first time in eight months. The gauge has dropped 22 percent in four days since Aug. 19. More than 700 stocks fell by the 10 percent daily limit in Shanghai on Tuesday, including PetroChina Co., the nation’s biggest company by value." Expect a bounce in today's US and European markets, but will it last? What do they call that on Wall Street? 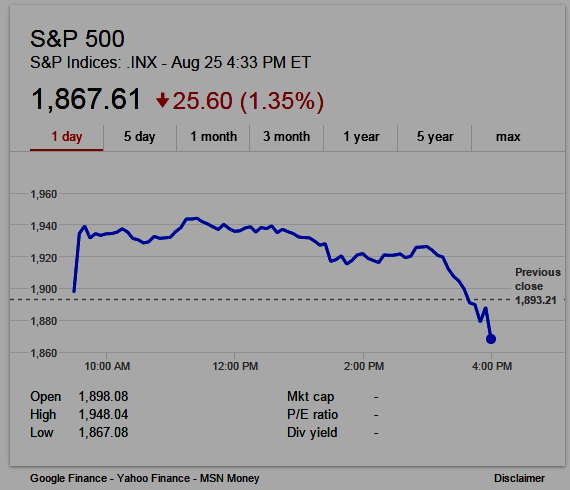 Oh yeah, a dead cat bounce. See also: China's stock market crash, explained in charts - Vox, and note #11: Chinese trusts are making highly leveraged bets--This practice of making investments with borrowed money is known as leverage, and it's not just individual Chinese investors who are doing it. Trusts are a bit like American investment banks or private equity funds: They provide investment opportunities for wealthy clients. And in recent years, they've become a popular way for those clients to evade limits on buying stocks with borrowed funds. This (use of "high leverage") never ends well. TV, Mobile Phones and a Fundamental Change in Advertising: Richard Greenfield, media and technology analyst at BTIG, discusses the downturn in television advertising as ads migrate to mobile phones and streaming media. He speaks on "Bloomberg Surveillance" August 21, 2015. Webinar Details: The webinar will be run in an Adobe Connect room. If you are interested in attending the webinar and would like to receive dial-in details, send an email to acct-staff@icann.org and indicate your language request (if needed). The webinar will be conducted in English. Live interpretation services are available in Arabic, Chinese, French, Spanish and Portuguese. Livestreaming translation in RU will be unavailable for this call. A translation of the transcript will be provided after the meeting. ZH interpretation will be available for the first 90 minutes of the call, thereafter, please join the Virtual Meeting Room and/or English line for the remaining 30 minutes. PT interpretation will be available for the first 90 minutes of the call, thereafter, please join the Virtual Meeting Room and/or English line for the remaining 30 minutes. The webinar will also be recorded and transcribed--transcripts will be posted on the CCWG-Accountability Wiki here. The CCWG on Enhancing ICANN Accountability published its 2nd Draft Proposal on Work Stream 1 Recommendations for 40-day public comment on 3 August 2015. Community feedback is requested on this draft proposal of proposed enhancements to ICANN's accountability framework that the CCWG-Accountability has identified as essential to happen or be committed to before the IANA Stewardship Transition takes place. Community feedback will help the CCWG-Accountability to improve its proposal and carry on with next steps, including Chartering Organizations' endorsement of the CCWG-Accountability recommendations before it is submitted to the ICANN Board during or shortly after ICANN54 in Dublin in October 2015. In order to brief the community on the contents of their 2nd Draft Proposal, the CCWG-Accountability co-Chairs hosted two identical briefing webinars on 4 and 7 August at different times to facilitate participation across time zones. To provide the community with an additional opportunity to ask questions, a repeat session will be held on August 25th as indicated above. For further information about the CCWG-Accountability: https://community.icann.org/x/ogDxAg. World's Richest Lose $182B in Market Rout (Friday, Aug. 24) -- The stock market rout has the world's billionaires losing big bucks. The richest 400 people lost a combined $182B last week. Bloomberg's Yvonne Man reports on "First Up." 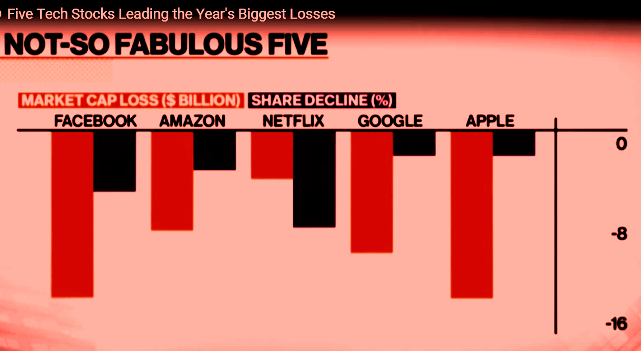 Five Tech Stocks Leading the Year's Biggest Losses - "Bloomberg's Oliver Renick and Michael Regan report on share declines in the tech industry. They speak on "Bloomberg Markets" Friday, August 21, 2015. Total losses now exceed over $100 billion in market capitalization. 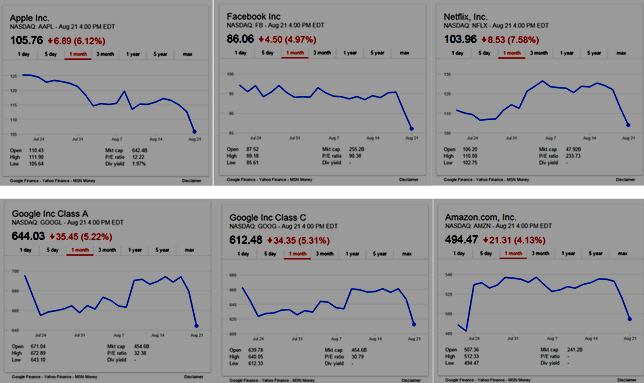 Above: The 5 Big Losers: Apple $AAPL, Facebook $FB, Google $GOOG $GOOGL, Netflix $NFLX, Amazon $AMZN, 1 month stock charts (source: google.com, August 21, 2015). Stock Rout Spreads Through Europe After China Plunge -Aug 24, 2015 -Bloomberg Business: "A wave of selling gripped global markets as the rout in all but the safest assets deepened. Chinese shares tumbled by the most since 2007, stocks in Germany headed for a bear market and commodities fell to a 16-year low... 10-year [US] Treasury yields slid below 2 percent. “This is a real disaster and it seems nothing can stop it,” said Chen Gang, Shanghai-based chief investment officer at Heqitongyi Asset Management Co..."
Don't panic, but terrifying just happened. Q. How about the risk that the drop in oil prices spills over into the financial markets? Jeff Gundlach: Something between 14 and 19% of the junk bond market are energy related. So when you have oil prices staying where they are for several months – which is likely because that is a policy decision that some oil producers have made – some of these companies will start to really run into financial troubles. Now, some people are saying: 'That is confined to energy, it is a pocket of the economy, everything else is OK and insulated.' But that argument usually does not work. When the housing market started to get weak in the subprime category, even Ben Bernanke said: 'That does not matter, it is just subprime.' But things are linked together. Jim Chanos, of Kynikos Associates, appeared on CNBC's "Fast Money: Halftime Report" on Friday, the fourth straight day of losses for major U.S. averages. The Dow Jones industrial average, S&P 500 and Nasdaq had their worst week since 2011. China's slowdown, among other macroeconomic concerns, has spooked global investors. Beijing's handling of a stock market spike, "panic responses" from investors and recent currency devaluation has "given investors pause," Chanos said. "It's worse than you think. Whatever you might think, it's worse ... People are beginning to realize the Chinese government is not omnipotent and omniscient. In fact, like many of us, sometimes they don't have a clue," said Chanos. China, one of the world's largest energy consumers, has also added pressure to already sagging commodities. Crude oil fell again on Friday, with West Texas Intermediate breaking below $40 per barrel for the first time since 2009. Energy: He dislikes Shell and Chevron. Solar City: Chanos unveiled a bet against the stock Friday, outlining its continued losses and what he sees as weakness in its operating model. HP: "We think it's challenged business. Despite Meg's best efforts, I think they're in businesses that are in secular decline." Caterpillar: heavy equipment companies will have "the wind in their face" for the foreseeable future. IDC expects India to maintain a double-digit growth rate in the smartphone market over the next few years as people switch to smartphones and gradually upgrade to 4G smartphones as well. 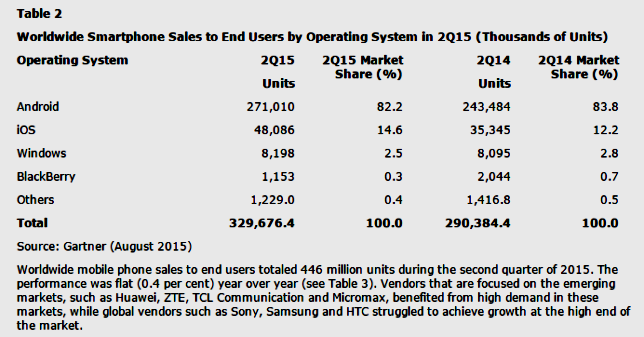 By 2017, we expect India to overtake the United States as the second largest smartphone market globally." "Gartner, Inc. said worldwide smartphone sales recorded the slowest growth rate since 2013 in the second quarter of 2015. Worldwide sales of smartphones to end users totaled 330 million units, an increase of 13.5 percent over the same period in 2014 (see Table 1). "While demand for lower-cost 3G and 4G smartphones continued to drive growth in emerging markets, overall smartphone sales remained mixed region by region in the second quarter of 2015," said Anshul Gupta, research director at Gartner. Emerging Asia/Pacific (excluding China), Eastern Europe and Middle East and Africa were the fastest-growing regions, driven by good performance from Chinese and local vendors. "By contrast, smartphone sales in China fell for the first time year over year, recording a 4 percent decline. "China is the biggest country for smartphone sales, representing 30 percent of total sales of smartphones in the second quarter of 2015. Its poor performance negatively affected the performance of the mobile phone market in the second quarter," said Mr. Gupta. "China has reached saturation — its phone market is essentially driven by replacement, with fewer first-time buyers. Beyond the lower-end phone segment, the appeal of premium smartphones will be key for vendors to attract upgrades and to maintain or grow their market share in China." Despite the launch of new S6 models, Samsung's premium phones continued to be challenged by Apple's large-screen iPhones. Samsung lost 4.3 percentage points in market share and declined 5.3 percent in unit sales in the second quarter of 2015. Huawei recorded the highest sales growth rate of 46.3 percent, thanks to strong overseas sales and 4G smartphone sales in China. iPhone sales increased 36 percent, which helped Apple gain 2.4 percentage points in market share..."